TIP: You can save products to your favorites list if you log in Sumatran coffee producers have taken a heavy weather hit this past cycle, with unusually heavy rains leading to reduced output, higher prices and scarcity seldom seem since the great tsunami of 2004 and subsequent years of austerity and recovery. That said this is still a special origin for us and when presented with an opportunity will jump through hoops to get even small quantities. Mt. Lerince is a prominent stratovolcano in West Sumatra and the surrounding area has always benefitted agriculturally from the rich, volcanic soil (the Kerince Valley area is known as "the rice bowl" and has about 300,000 inhabitants). Our Kerince coffee, traditional wet-hulled, represents the collective effort of some 600 coffee farmers. 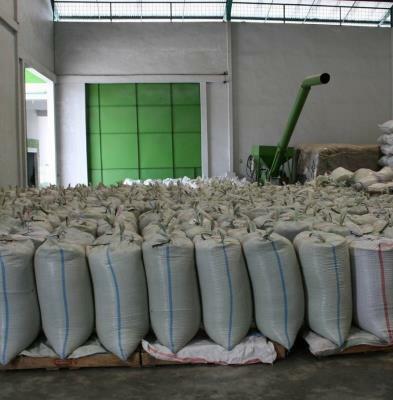 Grown at 1200-1500 meters, there are several varietals herein.. Andung Sari, Sigararutang, P88, Tim-Tim, and Bor-Bor. Exotic names, exotic coffee! Very nice body, not earthy, with cup notes in the medium roast of Black Cherry, Citrus, Dark Chocolate, Passion Fruit. Same roast profile for drip and espresso...tasty! "...this morning I arose early to grind, press, and sample the El Salvadoran Women's Brew. Wow, what an aromatic and delicious treat! I first noticed a lack of offensive acidity (which is why I did not drink coffee for years), a delicacy and round impression on the palate, wonderful fruitiness, and complex flavors. This coffee reminded me of feminine-style red wines, with understated elegance, finesse, and polish. Some coffees are more about the flavor of roasting, almost a charcoal taste, but this was much more subtle and appealing to me. Tomorrow I will try the Ethiopian selection and let you know what I think. 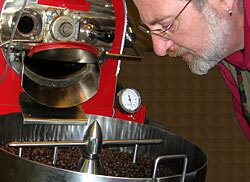 You are definitely on to something special with your coffees. "